Melbourne property group Assemble recently announced the launch of the Assemble Model, a new housing model that bridges the gap between renting and owning your home. Their debut project under the new model, located at 393 Macaulay Road Kensington, is open for registrations and community presentations haven taken place in September and will continue in October. All apartments in the Kensington development will be allocated before the end of November 2018. 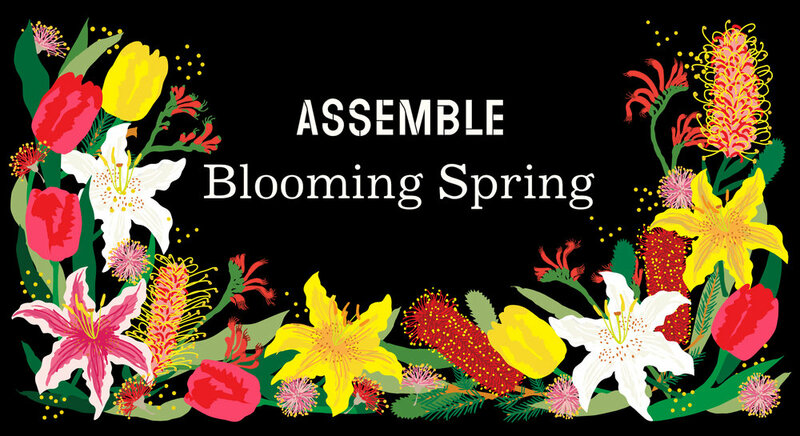 Blooming Spring is a weekend long event held at 393 Macaulay Rd, Kensington (the site of Assemble's new project) to celebrate spring! With the industrial fabric of 393 Macaulay Rd as the backdrop for the weekend's events, Blooming Spring will bring the site to life, filling it with wild spring flowers, music, wine and tacos. 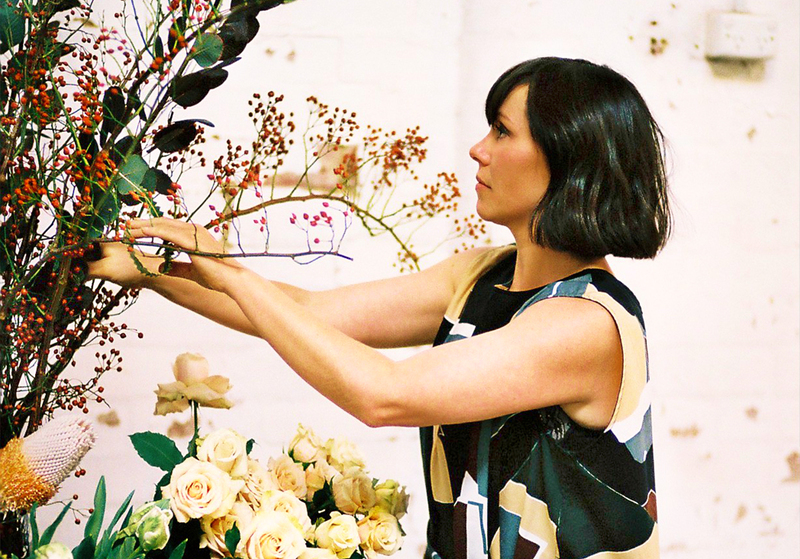 Come down to Assemble’s Blooming Spring program at 393 Macaulay Rd, Kensington and learn from the roots about floral arrangements from Cecilia Fox. Melanie Stapleton of Cecilia Fox, will run 2 workshops inspired by the forms, colours and textures of the botanical world and how this interacts with the urban context. Mel will lead participants through hands-on workshops exploring the modern aesthetic of botanical arrangements for dinner tables, and interior homemaking arrangements. Spaces are extremely limited for these one of a kind workshops so please confirm your attendance and book below. 2. Blooming Spring Daytime party with Cecilia Fox, Blackhearts & Sparrows, La Tortilleria and Hope St Radio. It’s real, Assemble are throwing a party, a family and furry friend friendly party. To close their Blooming Spring program, come down to their site at 393 Macaulay Rd, Kensington and dance around a botanical installation by Cecilia Fox, taste and drink wines by Blackhearts & Sparrows, enjoy a taco by Kensington locals, La Tortilleria and tune and twist into a live broadcast from Hope St Radio. Hospitality: Food by La Tortilleria and wine by Blackhearts & Sparrows to purchase. Tickets to the botanical workshops are available to the media. Please email rose@dxd.agency for tickets. Assemble is dedicated to housing and shaping the culture of living closer together. Assemble is an end-to-end property development and management company with a close, long-term relationship with each community we help build. The launch of the Assemble Model marks a new chapter for the team as they go deeper into building well-designed and more accessible housing in Melbourne and beyond. The Assemble Model is a new housing model that bridges the gap between renting and owning your home. The idea is simple: lease your home while you save to buy. Your rent and purchase price are fixed, giving you stability while you save. All while having the freedom to leave the lease or decide not to buy. It's our response to the very real challenge of housing affordability in our much-loved city, Melbourne. Assemble’s next project located at 393 Macaulay Rd, Kensington will be the first delivered under the Assemble Model. At the heart of the design is a landscaped, open-air walkway that will bring cross-flow ventilation and dual aspect natural light to all homes. The entire community will be connected through communal spaces on the upper and ground floors: space for work, eating and leisure, together. Identified as one of Resilient Melbourne’s Resilient Communities (an initiative of 100 Resilient Cities pioneered by the Rockefeller Foundation), 393 Macaulay Rd will encourage greater understanding of how to create more connected communities that are both sustainable and financially viable.